Living, competing and dancing, the Annual ASC Seniors Games create many wonderful memories for participants each year. This year’s event will be held at 30 All Seniors Care Living Centres Retirement Residences on February 4th – 8th, 2019. 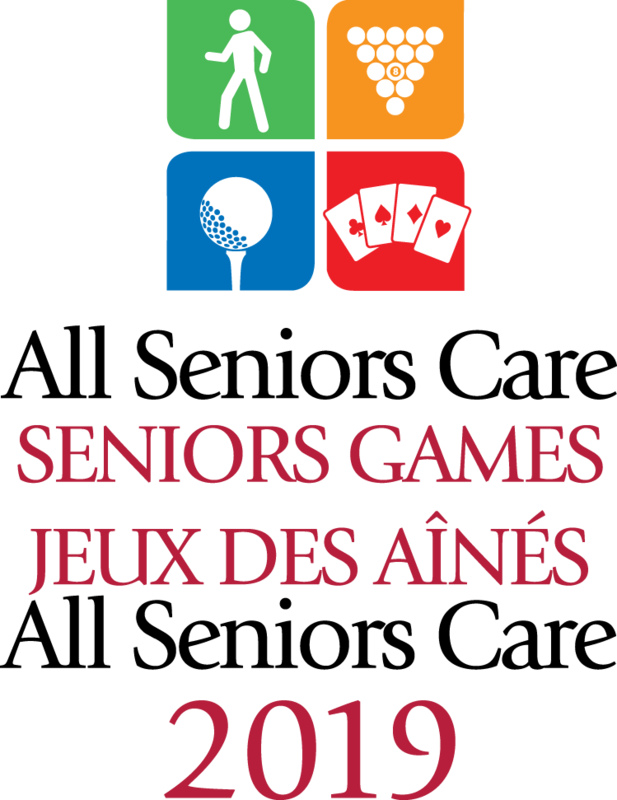 The All Seniors Care Seniors Games have provided thousands of older adults over the past decade friendly competition to help stay healthy, active and “Go For Gold”! Building on the success of the previous nine Seniors Games we will be celebrating with the joy of Dance. The ASC Seniors Games are the result of planning and hard work by a large team of employees and residents led by Event Planner, Ronna Goldberg and her resident volunteer Chefs du Mission in each building. All events are held indoors with the fun getting underway at around 10:30am each day and featuring a competition, awards ceremony, food and special guests. Meet our Chefs de Mission, team leaders from across the country that are dedicated to making the 2019 All Seniors Care Seniors Games a wonderful experience for all participants at each of our 30 participating retirement communities. Volunteers from among our residents they are key members of our Games Organizing Committees and serve to create an environment that allows their team to focus on enjoying the competition and achieving personal best performances. Thank you to all our Chefs de Mission for their time, effort and dedication! Laurel Heights, Edmonton, Alberta – Evelyn S.
MacTaggart Place, Edmonton, Alberta – Sophie M.
Thank you to all our Chefs de Mission for their time, effort and dedication! How far will you go? Fast or slow doesn’t matter. Non-Competitive Walking – Walking is good medicine! It builds “staying power” and improves the health of the heart and circulatory system, lowers blood pressure, and reduces the risk of stroke. Even starting with a few minutes of walking per day can get you on the road to improved health. And if you walk on a regular basis, it can significantly improve your quality of life. What better venue for a nice walk in the middle of winter than our hallways. For fun and fitness on the opening day of our Seniors Games we’ve got a full mile marked out for anyone wanting to go the distance (special recognition for the distances completed). With our lively music playing to keep you motivated you may wish to dance your way through the halls! All participants receive a complimentary t-shirt to wear during the week. Bowling will take place in all of the majestic theatres. Bowling – Whether you are an expert or wanting to try something new, either way join us for an exciting and challenging bowling experience. Wii bowling is a remarkable video game that provides fun, laughter and exercise! It lets you play a game of bowling in front of a large format television screen – move about, test your coordination, and compete against other bowlers. Medals – Local Gold, Silver & Bronze medals will be presented in each Residence at a special presentation end of day. These medalists will be entered in the national finals with the top three in the nation receiving National Gold, Silver or Bronze medals at our awards Closing Ceremony. It’s all about angles and precision shots. Have a BALL on Day 3 of the Seniors Games by joining us for billiards and bocce! Which game will be your specialty? Come out and join us for fun and exercise … and maybe you’ll go home with a medal! Billiards – Our billiards tournament will pit players against each other in this popular game of skill and finesse. Medals – Local Gold, Silver & Bronze medals will be presented in each Residence at a special presentation end of day. For Bocce these medalists will be entered in the national finals with the top three in the nation receiving National Gold, Silver or Bronze medals at our awards Closing Ceremony. Bocce – For the bocce competition, our friends at the Caboto Centre in Winnipeg have helped us to modify the rules for indoor play. Shuffleboard – New to the ASC Seniors Games, floor shuffleboard was introduced as a demonstration sport for 2013. Back by popular demand Come out and give it a try, the game is fun and easy to learn. Wii Golf – An original at the ASC Seniors Games Wii Golf is contested for National medals. The game is set up for 4 players to play three holes. All four play the same three holes and the game records the score. At the end of the 3 holes all players scores are recorded and the top 3 scores from each residence will compete again in the afternoon finals for Gold, Silver and Bronze medals. Medals – Local Gold, Silver & Bronze medals will be presented in each Residence at a special presentation end of day. For Wii Golf these medalists will be entered in the national finals with the top three in the nation receiving National Gold, Silver or Bronze medals at our awards Closing Ceremony. Card and Board Games – Both physical and mental activity are integral parts of overall wellness. The ASC Seniors Games have been created to stimulate both. Unique to each residence competitive card games and board game activities have been scheduled so there is a little something for everyone. Bridge players will be able to compete in most buildings, Whist and Canasta in others. Some can play Jeopardy while others will enjoy other competitive games that will engage everyone. Scrabble, Quiddler, or Trivia Challenge – whatever you prefer you can get involved. Medals – Local Gold, Silver & Bronze medals will be presented in each Residence at a special presentation end of day.